N 32° 55' 58" and E 72° 51' 14"
Chakwāl in Punjab with it's 101,200 habitants is located in Pakistan about 56 mi (or 89 km) south of Islamabad, the country's capital town. 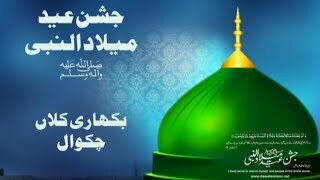 Current time in Chakwāl is now 09:00 PM (Thursday). The local timezone is named Asia / Karachi with an UTC offset of 5 hours. We know of 9 airports close to Chakwāl, of which two are larger airports. The closest airport in Pakistan is Mangla Airport in a distance of 46 mi (or 74 km), East. Besides the airports, there are other travel options available (check left side). There are several Unesco world heritage sites nearby. The closest heritage site in Pakistan is Rohtas Fort in a distance of 43 mi (or 69 km), East. While being here, you might want to pay a visit to some of the following locations: Rawalpindi, Mandi Bahauddin, Khushab, Islamabad and Sargodha. To further explore this place, just scroll down and browse the available info. Let's start with some photos from the area. 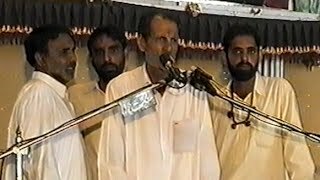 Zakir Shajar Hussain Shajar of Mandi Bahauddin | Majlis-e-Aza at Sarpak, Chakwal | 1st August 2004. 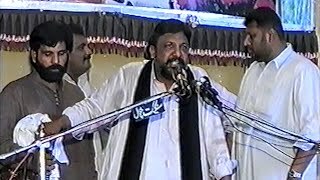 Zakir Shaukat Raza Shaukat of Multan | Majlis-e-Aza at Sarpak, Chakwal | 1st August 2004. 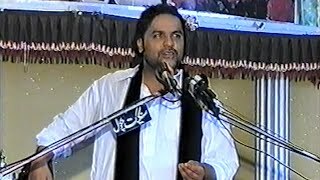 Zakir Naveed Aashiq B.A of Lahore | Majlis-e-Aza at Sarpak, Chakwal | 1st August 2004. 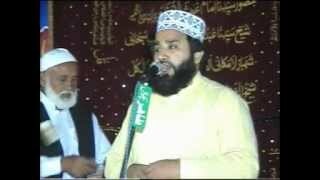 Mohammad Owais Raza Qadri ki naat - Aaqa ka milad aya Thirpal to Chakwal eid milad jaloos procession. YUP!! THAT WAS FANTASTIC EXPERIENCE IN WT LAB ..
Sound master,SHABBIR 03335913715.Video & cam Engineer , JAZI 03315776422.Near Habib bank bhon chok chakwal 03335903715. Chakwal, is the capital of Chakwal District, Punjab, Pakistan. It is located 90 km south-east of the federal capital, Islamabad and is named after Chaudhry Chaku Khan, chief of the Mair Minhas tribe from Jammu, who founded it in 1525 CE during the era of the Mughal Emperor, Zaheerudun Babur. It remained a small but central town of the Dhan Chaurasi Taluka for many centuries. In 1881, during the British era, it was declared the Tehsil Headquarters. Located at 32.9303, 72.8556 (Lat. / Lng. ), about 0 miles away. 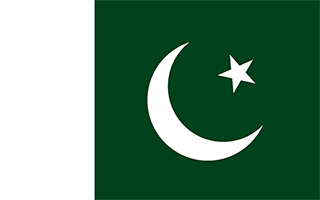 Murid Airbase is a Pakistan Air Force Base located at Murid, Punjab, Pakistan. Located at 32.91, 72.7739 (Lat. / Lng. ), about 5 miles away. Kallar Kahar, is a city and subdivision of Chakwal District in Punjab, Pakistan. It is also capital of Kallar Kahar Tehsil. It is a tourist destination located 25 kilometres southwest of Chakwal along the motorway. It is notable for its natural gardens, peacocks and a saltwater lake. It is 125 km away from Rawalpindi. The Katasraj temples are situated in Choa Saidanshah tehsil (CSS), in 1981 a project was started named as Pak German Project (PGP). Located at 32.7833, 72.7 (Lat. / Lng. ), about 14 miles away. Chak Malook is a village and union council, an administrative subdivision, of Chakwal District in the Punjab Province of Pakistan, it is part of Chakwal Tehsil and is located at 32°58'0N 72°57'0E. Located at 32.9667, 72.95 (Lat. / Lng. ), about 6 miles away. 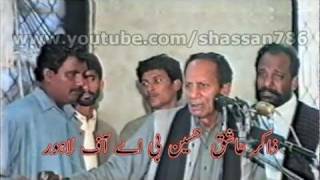 Jaswal is a village and union council, an administrative subdivision, of Chakwal District in the Punjab Province of Pakistan. It is part of Chakwal Tehsil. Located at 32.8167, 72.9667 (Lat. / Lng. ), about 10 miles away. Karyala is a village and union council, an administrative subdivision, of Chakwal District in the Punjab Province of Pakistan. It is part of Chakwal Tehsil. Located at 32.8333, 72.8833 (Lat. / Lng. ), about 7 miles away. Odherwal is a village and union council, an administrative subdivision, of Chakwal District in the Punjab Province of Pakistan, it is part of Chakwal Tehsil and is located at 32°56'0N 72°48'0E. Located at 32.9333, 72.8 (Lat. / Lng. ), about 3 miles away. Bhaun is a town in Chakwal District in the Punjab province of Pakistan 12 kilometres away from the district capital Chakwal. In 2007 Pakistan Railways announced the resumption of the Bhaun to Chakwal service. However, no progress has been made to this effect as of February 2009. Located at 32.8667, 72.75 (Lat. / Lng. ), about 8 miles away. Ratta is a village in the Punjab province of Pakistan. It is located at 32°51'0N 72°41'0E with an altitude of 520 metres (1709 feet). Located at 32.85, 72.6833 (Lat. / Lng. ), about 11 miles away. 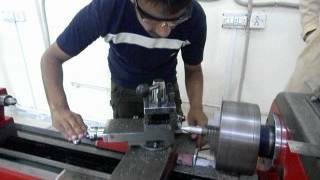 Rahna is a village in the Punjab province of Pakistan. It is located at 32°53'0N 72°42'0E with an altitude of 516 metres (1696 feet). Located at 32.8833, 72.7 (Lat. / Lng. ), about 10 miles away. Shamsabad (or Shamas Abad or Shamsabad Attock) is a village in the Punjab province of Pakistan. Located at 32.8167, 72.8 (Lat. / Lng. ), about 9 miles away. Jabairpur is a village in the Punjab province of Pakistan. It is located at 32°55'0N 72°53'0E with an altitude of 508 metres (1669 feet). Located at 32.9167, 72.8833 (Lat. / Lng. ), about 2 miles away. These districts belong to Chakwāl. These are districts that are close by, but belong to a different city than Chakwāl. These are some bigger and more relevant cities in the wider vivinity of Chakwāl.